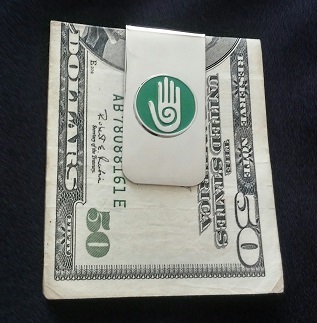 Sophisticated and stylish healing hand money clip. Makes a perfect gift for any gentleman. The perfect gift for the hand surgeon. 50mm x 25mm. Silver Metal finish,. Silver hand raised in green enamel. Pair it with our Healing Hand cufflinks!! !